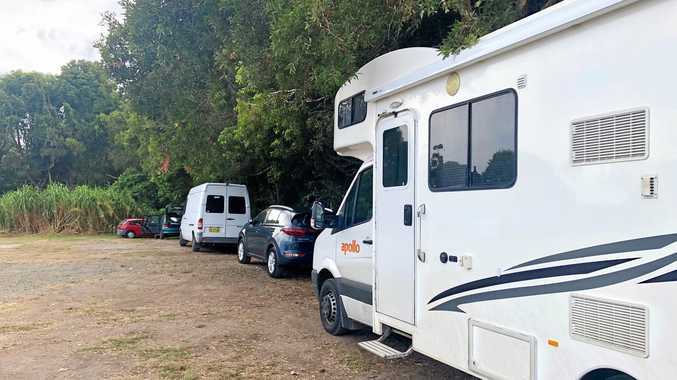 BYRON Council is lowering the boom on illegal camping in the Butler Street Reserve with newly installed gates to be locked overnight starting next Monday March 25 from 9pm- 6am each evening. Fines will also be imposed on anyone parking in the Reserve after 9pm. New gates installed at the reserve are designed to address some of the issues and concerns raised by the community over recent months including illegal camping, partying and dumping of rubbish in the Reserve and nearby bushland. Council has apologised for any inconvenience caused to local residents and workers who use the Reserve's parking in the evenings. Free parking is still available in the Reserve during the hours of 6am and 9pm daily, except on market days which include Farmers Markets on Thursdays and monthly markets - first Sunday of the month. From July 2019 the Butler Street Reserve will be closed completely when work starts on the Byron Bay bypass. Both markets will be temporarily relocated while the bypass is being built and Council is working with the market managers to find alternative locations. For more information about the nightly closure of Butler St Reserve go to Council's website or call 6626 7000.